Evidence is mounting that China aims to build another island atop the Scarborough Shoal, an atoll just 140 miles off the coast of the Philippines’ capital of Manila and well within the Philippines’ 200-mile economic exclusion zone, that would extend China’s claims. Chinese missile batteries and air-search radars there would put U.S. forces in the Philippines at risk in a crisis. Capt. Sean Liedman, a naval flight officer serving as a fellow at the Council on Foreign Relations, called for the U.S. to take a hard line. Liedman said the Navy should consider taking military actions like disabling Chinese dredging boats to steps to impair the land-reclamation effort. Scarborough Shoal forms a triangle-shaped chain of reefs and rocks with a perimeter of 46 km (29 mi). It covers an area, including an inner lagoon, of 150 km2 (58 sq mi). The shoal’s highest point, South Rock, measures 1.8 m (5.9 ft) above water during high tide. Located north of it is a channel, approximately 370 m (1,214 ft) wide and 9–11 m (30–36 ft) deep, leading into the lagoon. Several other coral rocks encircle the lagoon, forming a large atoll. The shoal is about 198 kilometres (123 mi) west of Subic Bay. To the east of the shoal is the 5,000–6,000 m (16,000–20,000 ft) deep Manila Trench. 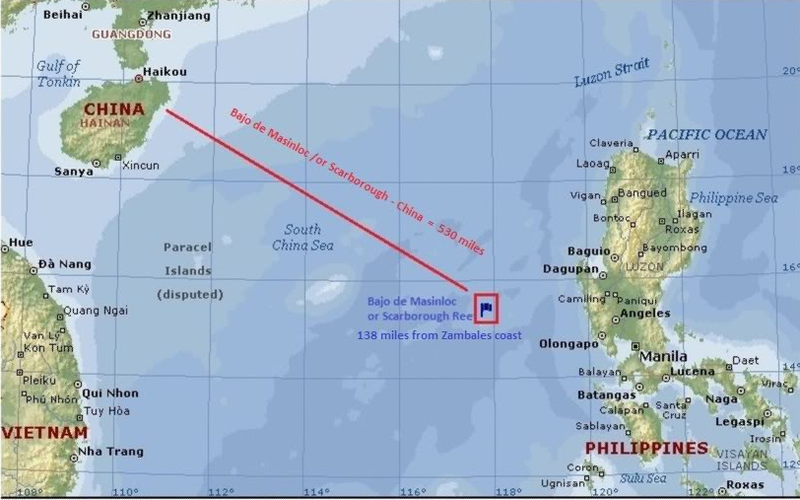 The nearest landmass is Palauig, Zambales on Luzon island in the Philippines, 220 km (137 mi) due east. 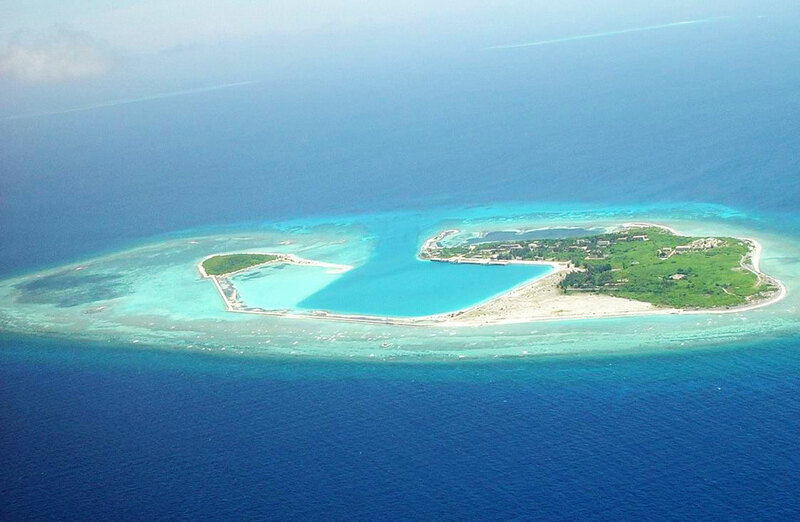 Scarborough Shoal is also known as Scarborough Reef, Democracy Reef and Huangyan Island.